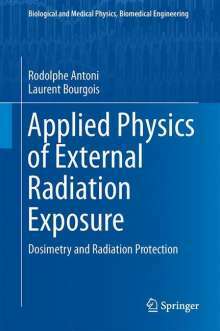 Der Artikel Rodolphe Antoni: Applied Physics of External Radiation Exposure wurde in den Warenkorb gelegt. Ihr Warenkorb enthält nun 1 Artikel im Wert von EUR 181,34. This book describes the interaction of living matter with photons, neutrons, charged particles, electrons and ions. The authors are specialists in the field of radiation protection. 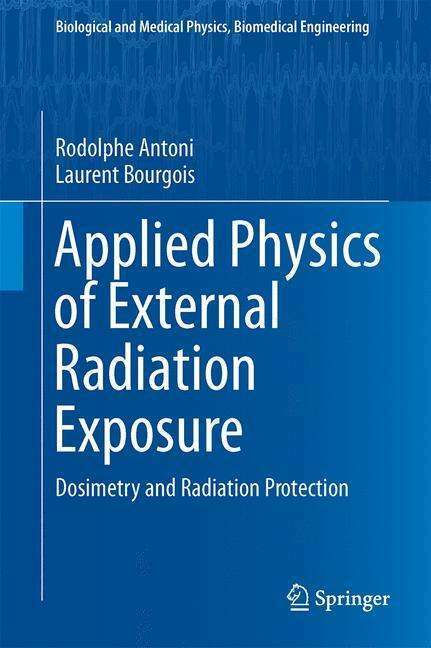 The book synthesizes many years of experiments with external radiation exposure in the fields of dosimetry and radiation shielding in medical, industrial and research fields. It presents the basic physical concepts including dosimetry and offers a number of tools to be used by students, engineers and technicians to assess the radiological risk and the means to avoid them by calculating the appropriate shields. The theory of radiation interaction in matter is presented together with empirical formulas and abacus. Numerous numerical applications are treated to illustrate the different topics. The state of the art in radiation protection and dosimetry is presented in detail, especially in the field of simulation codes for external exposure to radiation, medical projects and advanced research. Moreover, important data spread in different up to date references are presented in this book. The book deals also with accelerators, X-rays facilities, sealed sources, dosimetry, Monte Carlo simulation and radiation regulation. Each chapter is split in two parts depending on the level of details the readers want to focus on. The first part, accessible to a large public, provides a lot of simple examples to help understanding the physics concepts under radiation external exposure. The second part, called "Additional Information" is not mandatory; it aims on explaining topics more deeply, often using mathematical formulations. The book treats fundamental radiometric and dosimetric quantities to describe the interaction in materials under the aspects of absorbed dose processes in tissues. Definitions and applications on limited and operational radiation protection quantities are given. An important aspect are practical engineering tools in industrial, medical and research domains. Source characterization and shielding design are addressed. Also more "exotic" topics, such as ultra intense laser and new generation accelerators, are treated. The state of the art is presented to help the reader to work with the book in a self-consistent way. The basic knowledge necessary to apply Monte Carlo methods in the field of radiation protection and dosimetry for external radiation exposure is provided. Coverage of topics such as variance reduction, pseudo-random number generation and statistic estimators make the book useful even to experienced Monte Carlo practitioners. Solved problems help the reader to understand the Monte Carlo process. The book is meant to be used by researchers, engineers and medical physicist. It is also valuable to technicians and students.